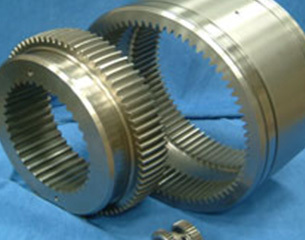 Designed or manufactured to customer's drawings DePe produces ground gears from Ø30mm to Ø1250mm, up to 1000mm face width and with a modular range from 1 to 35. 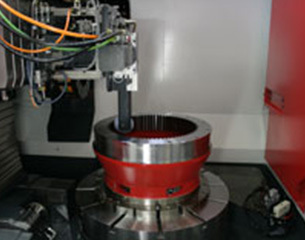 CNC gear grinding of helical internal gears and splines from an internal diameter of Ø50mm to Ø1250mm with a face width of up to 600mm. 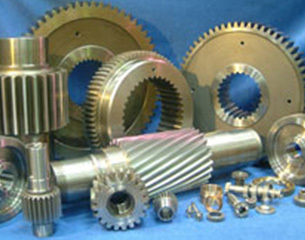 DePe has five CNC gear cutting machines, ranging from Ø50mm to Ø2500mm with a module range of 1 to 35. 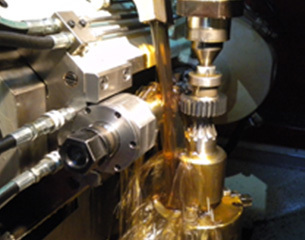 CNC internal gear and spline cutting up to Ø1000m x 300 face width. 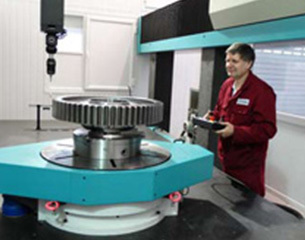 The latest addition CNC gear grinder can produce internal helical splines and gears from an internal diameter of Ø50mm to Ø1250mm. 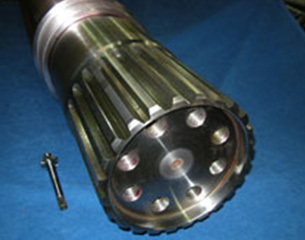 Internal and external splines to various international standards both finished cut or ground. External up to Ø350mm by 4000mm face width. 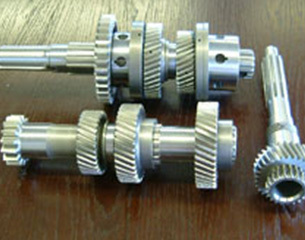 Gear coupling to transmit up to 1,000,000 NM with misalignment angles up to 5 degrees per gear mesh. DePe is a specialist in applications for the steel industry, mining, quarrying and paper processing. 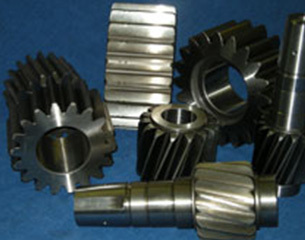 DePe manufactures railway gear wheels and pinions up to 1250mm for most of the major OEMs. DePe’s equipment is ideally suited to low volume work and supports innovations in many fields including renewable energy and electric vehicles. 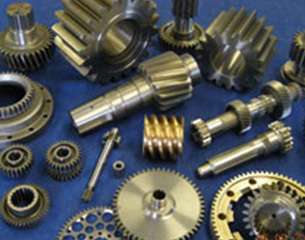 Full CNC gear inspection is available to all international standards. 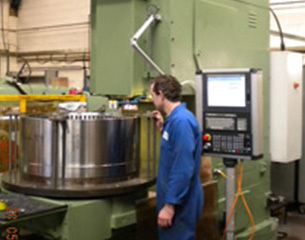 Up to 2500mm diameter. Gearboxes up to 10 tonnes in weight. 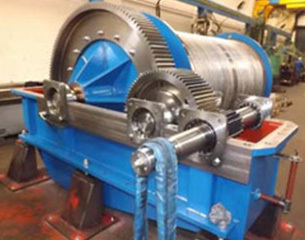 DePe has particular expertise in steel processing lines, cut to length lines, leveller lines, bulk handling and mixing. 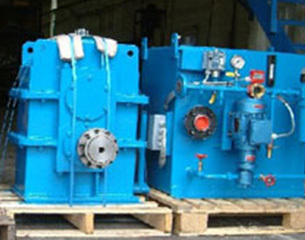 DePe has produced gearboxes and rope drums for dock crane refurbishment.